First teased last year, tyre-maker Goodyear is finally ready to unveil its new Eagle 360 tyre concept in person at this year's Geneva Motor Show. The firm has, quite literally, reinvented the wheel by creating a spherical design that's powered by a bespoke AI. Goodyear’s Eagle 360 Urban also features bionic skin with a sensor network that allows the concept tyre to check on its own status and gather information on its environment, including the road surface. 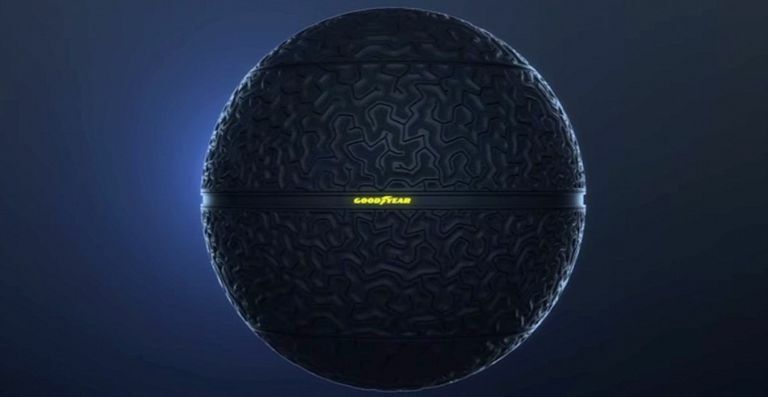 So by giving the tyre a ‘brain’, Goodyear hopes it'll become part of a vehicle’s ‘nervous system’ as well as being connected to the world through the Internet of Things. As for the Eagle 360's skin, it's made of a super-elastic polymer, the tyre’s bionic skin has a flexibility similar to that of human skin, allowing it to expand and contract. This outer layer covers a foam-like material that is strong enough to remain flexible despite the weight of a vehicle. If you happen to at the show this year, you can find the Eagle 360 at Stand 2056, Hall 2. Nest is introducing a brand new two-step authentication process to help add a familiar yet secure way to protect your smart home device. It’s simple, but very effective – even if someone figures out your password, they will still need to actually get their hands on your phone to get into your account. So the first time that you sign in to your Nest account after activating two-factor authentication, you’ll type in your email address and password as always, but then you’ll receive a text with a verification code. Enter the code and you’re ready to go. The new security update for Nest is available now for the Nest app. Technogym have just announced today that they are teaming up with IBM to integrate its AI programme Watson into Technogym’s fitness and wellness platform – mywellness. In other words, it'll give everyday gym goers a personal PT to help coach and guide them while they're working their way through a cardio session. IBM Watson is already being used by elite athletes such the NBA's Toronto Raptors and at elite facilities including the Nike Oregon Track Club to help optimise training for Olympic athletes, so this is some seriously professional fitness tech. The cognitive programme analyse reams of scientific data including biomarker and performance information, as well as factoring in travel schedules, weather, diet and sleep data from your smartphone/wearable to ensure the workout you're doing is pushing you at limits that suit your body and goal.